Five total RC10 systems are arranged in a ring formation. 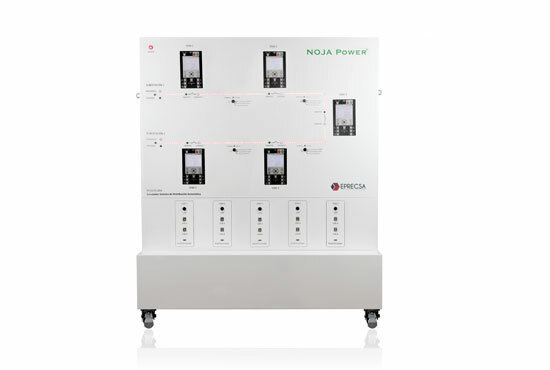 3 Phase power with options for both 127V AC and 240V AC operation. Switch status indication are shown for each RC10 and LED’s power flow indication are shown between each device. Switchable loads and faults are available at each midpoint between devices to simulate: phase to ground faults, phase to phase faults and 3 phase faults. Communication ports and USB A/B/C access are available for CMS connections and application simulation.